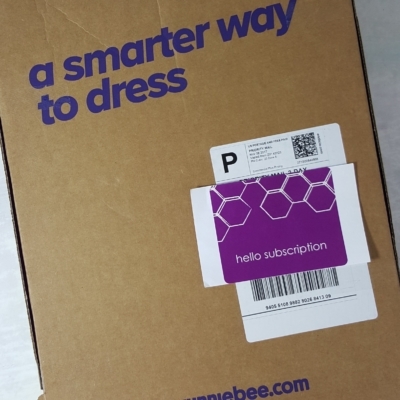 Gwynnie Bee is a clothing rental subscription service for sizes 10-32. 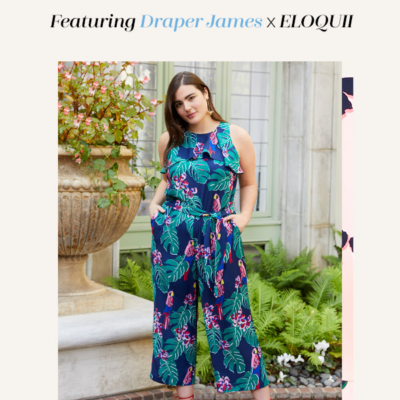 To start, browse through the numerous apparel pieces and add items to your closet. After you’ve selected 25+ items, Gwynnie Bee will send you the first three that are available. There is also a feature that lets you prioritize items, so you can have some control over which items are more likely to arrive. Wear for as long as you like, and then return the pieces to get more! 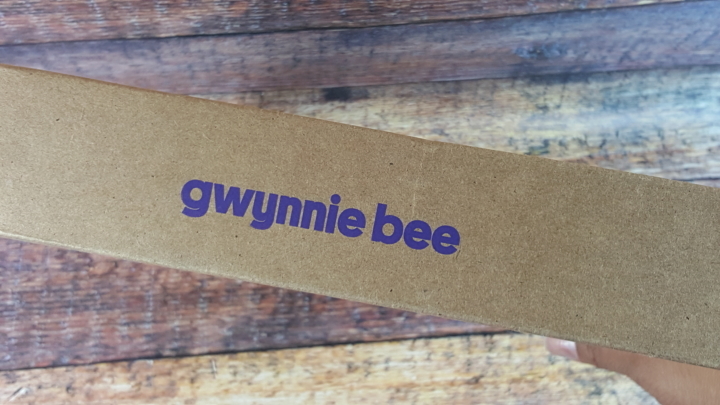 ICYMI, Gwynnie Bee has updated their boxes! Everything still arrives wrapped and folded. 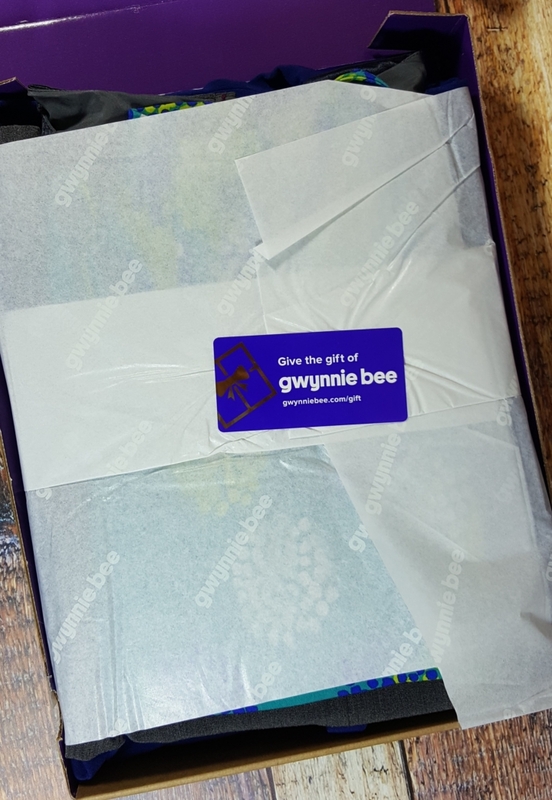 DEAL: Currently, when you sign up for Gwynnie Bee you can get your first month for FREE, (no code needed, just use the link) which is an awesome way to just try it out and see if you love it. This was actually my December box, but with everything going on, it didn’t get opened until January. That’s the great thing about this subscription – you can keep everything for as long as you want. 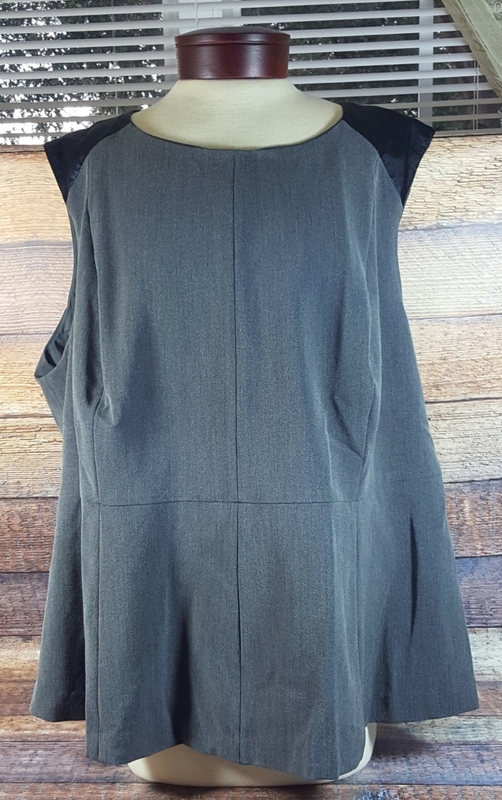 Enlo | Structured Shell – Gray (price to buy $16): Sleeveless crepe top with jewel neck and sateen shoulder detail, slight stretch, contrast exposed back zip, defined waist, lined. Fabric – Polyester / Rayon / Spandex. 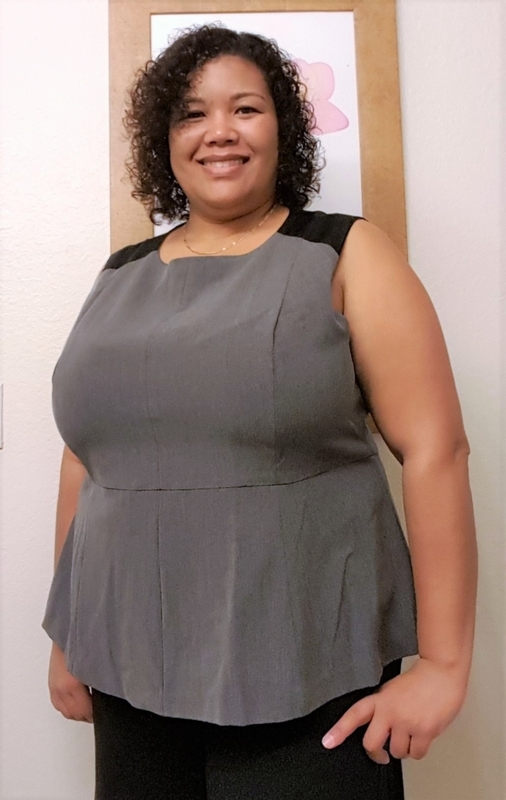 A fitted silhouette and understated sateen shoulder detail make this fluid crepe top an office favorite from Enlo. A subtle flare and neutral gray tone easily lend it to your Monday-to-Friday rotation. I don’t generally like peplum tops, so I don’t know why I picked this. I must have been on a mission to find a peplum that would work for me. This top wasn’t bad, but there was something about the fit on the sides that I didn’t like. Also, I thought it made me look bustier than I am. 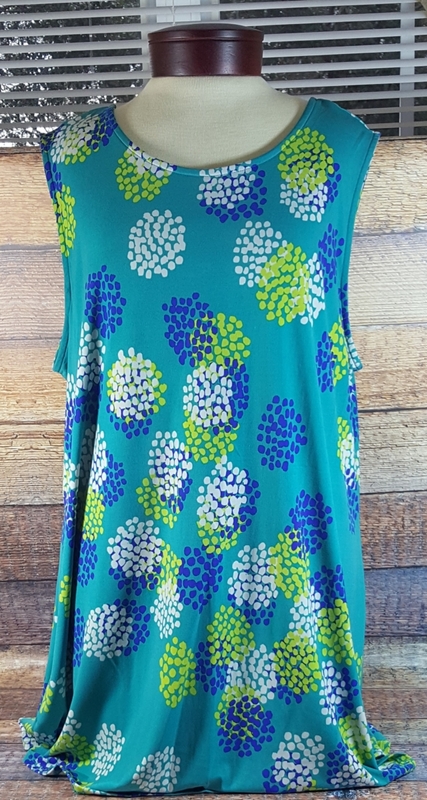 Leota | Tank Tunic – Dahlia (price to buy $35): Sleeveless stretch-jersey tank tunic with scoop neckline, stretch-knit fabric, slip-on design, allover abstract print, unlined. Fabric – Polyester / Spandex. 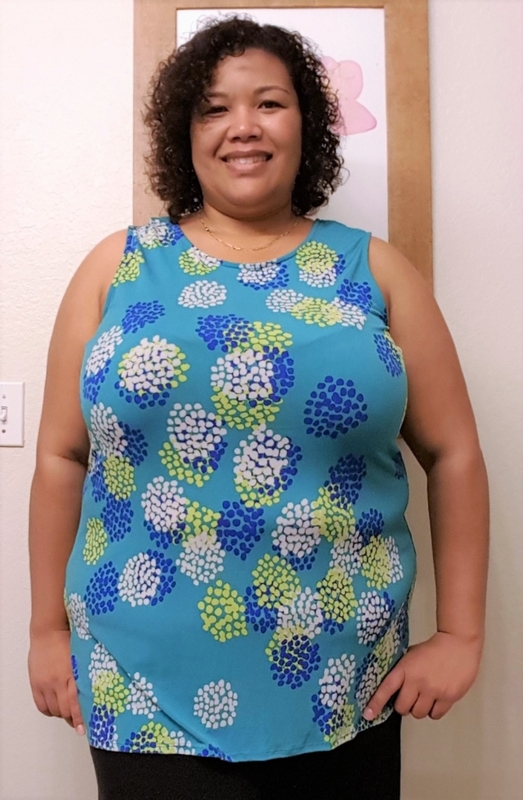 Smart, sweet, and super-flattering – the Tank Tunic from Leota delivers a burst of color that easily styles for both work and play. Partner with a pencil shirt for the office or pair with your favorite skinnies and make the weekend yours. So, I can’t remember selecting this top, let alone seeing it before. It is WAY out of my norm in both the pattern and bodycon fit. I liked the color, but this hugged my curves in the wrong way (truthfully, it hugged the wrong curves). 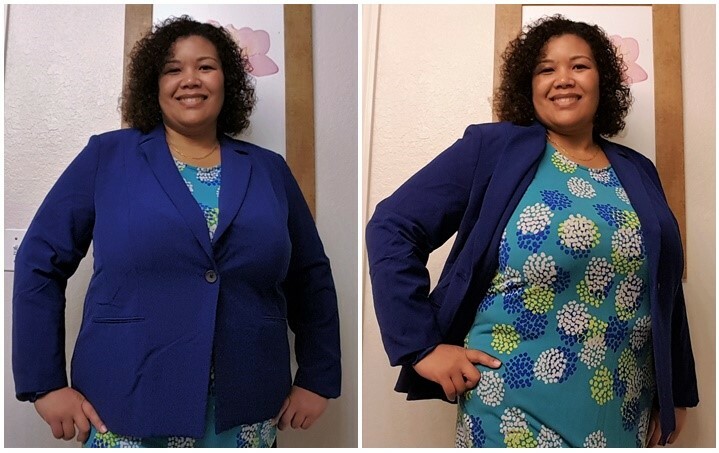 Enlo | Classic Blazer – Cobalt (price to buy $32): Crepe blazer with one-button closure and long sleeves, slight stretch, notched lapels, faux front pockets, shoulder pads, single vent, partially lined. Fabric – Polyester / Rayon / Spandex. 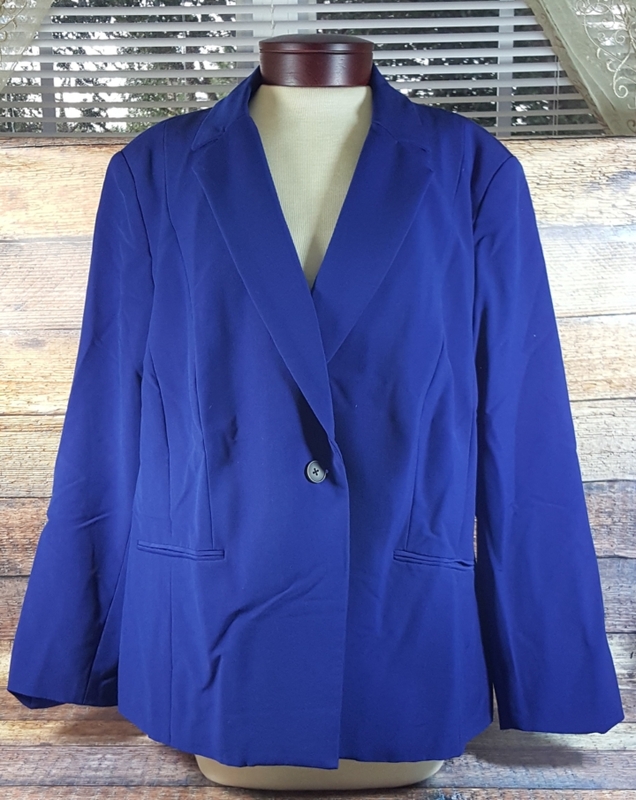 In a vivid shade of cobalt blue, this fitted crepe blazer from Enlo is a wardrobe mainstay that you can layer on for work or play. I loved this piece so much that I bought it. The color first attracted me to the piece, but the fit clenched it. I have such a hard time finding pieces that fit my chest. This blazer did without making the rest of the fit look baggy. After using my GB points, it ended up being $27. That’s a great price for a blazer. 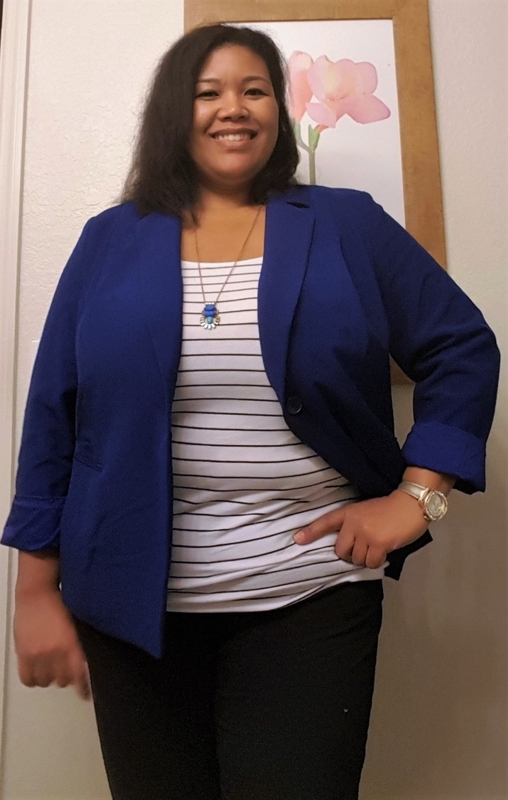 And here’s my casual Friday work look – cobalt blazer, black & white striped cami, and black ankle pants. Ignore the hair, I took this picture AFTER work. 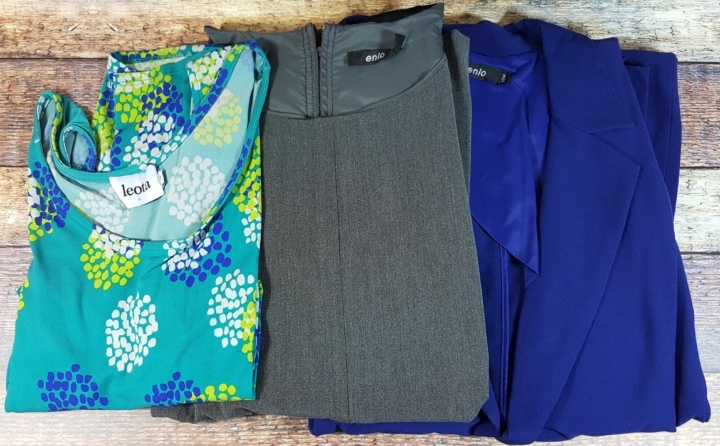 Several of the items in my Gwynnie Bee closet items were selected when I first signed up. Since I try to closet pieces each week, I love when something arrives that I forgot about (like that Leota top). It also reminds me to go through my closet and clean out pieces as well. Another thing I like about this subscription is that I have the option to buy pieces that I just can’t part with. I don’t buy often, so something has to really stand out as missing in my closet for me to keep it. What did you think of my fashion choices? Share your thoughts with a comment below. 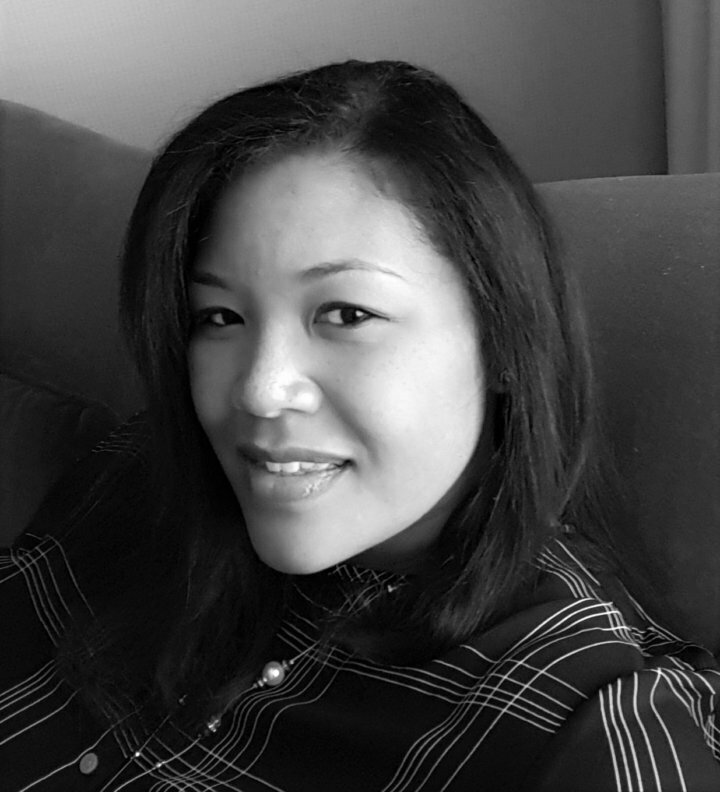 Visit Gwynnie Bee to subscribe or find out more! The blazer looks fantastic on you. Thanks, Haylee! I love it, and the color is so fun.